NEET 2018 is scheduled on 06 May. Check out dress code, list of barred items, and things to carry to the examination hall. Light clothes with half sleeves not having flowers, badge/brooch, big buttons, etc. Sandals, sleepers with low heels. Shoes are not allowed. Stationery items such as bits of papers, printed/written material, plastic pouch, geometry/pencil box, calculator, scale, pen drives, log tables, etc. Communication devices such as Earphones, mobile phone, Bluetooth, microphone, pager, etc. Ornaments such as nose-pin, ring, earrings, pendants, necklace/chain, badge, and brooch, etc. Goggles, Handbags, Wallet, Cap, Belt, etc. Bracelet, Wrist Watch/any other watch, camera, etc. Water bottle, eatable items, etc. Admit card with a passport size photograph affixed on it. Another photograph to be affixed on the attendance sheet. This year, approximately 13.36 lakh students have registered for the medical entrance examination, which is 2 lakh more than for NEET 2017. There are nearly 60,000 medical seats for MBBS and BDS programmes. The numbers are clearly indicating the popularity of the exam, and the tough competition aspirants have to face this year and the years ahead. The idea of having a common entrance test for medical admissions came into being in the year 2013. 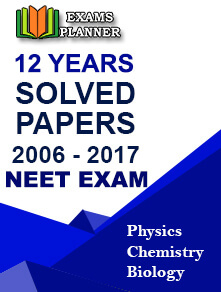 This was the year when the first NEET exam was conducted. The aim was to free the students from extra pressure of preparing for multiple medical entrance examinations. Since then, the exam has faced its share of criticism and appreciation. The number of states adopting the exam for admission is increasing.